Reel Time Events, working with Thundermark, welcomed the Momentum group to the Edinburgh leg of their incentive trip. Travelling from South Africa for their incentive trip Momentum were treated to a truly Scottish experience by Reel Time Events for the Edinburgh part of their journey. With great collaboration between Reel Time Events and Thundermark in the run-up to the event, guests were treated to the best entertainment possible for their visit to Edinburgh. 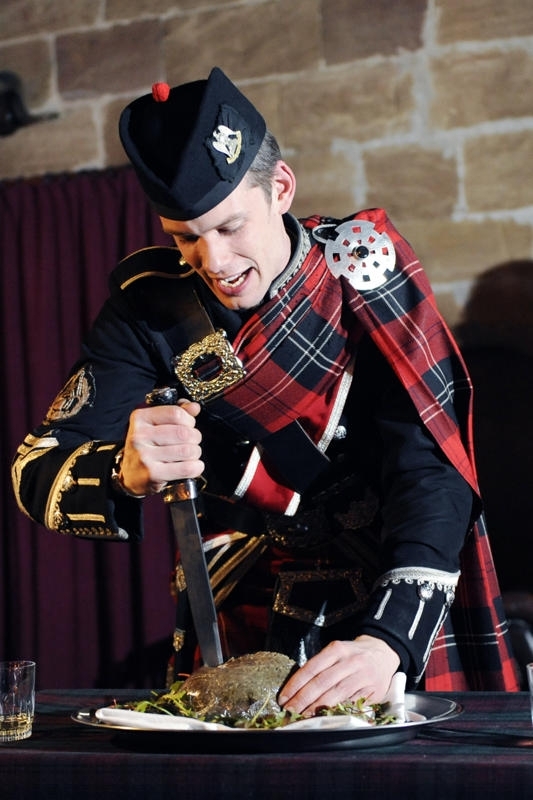 To get both groups in the mood for the evenings entertainment they were fitted into kilt outfits for the gentlemen and sashes for the ladies – in all 80 kilt outfits and 70 sashes were successfully fitted across 2 venues over 6 hours, while the Reel Time team also offered some local knowledge and tourist info for how to spend the day, before the evening kicked off in Reel Time Style. With entertainment at 2 different venues for the 2 groups it was a busy night for the Reel Time Team. 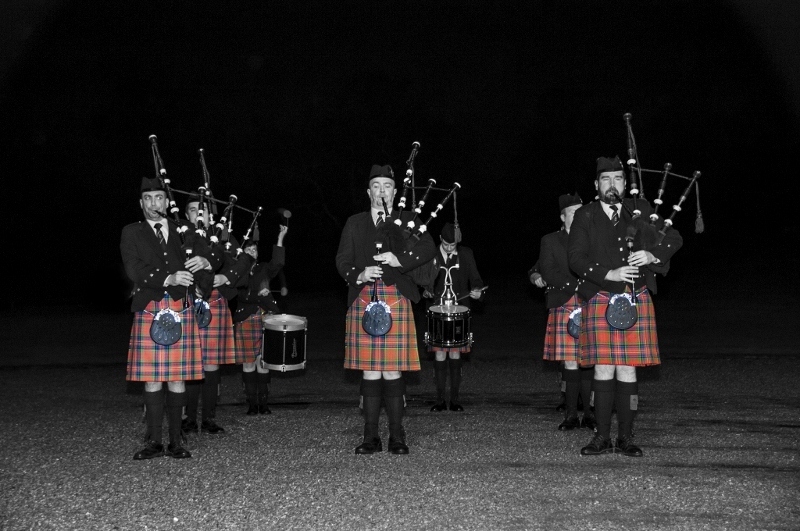 The first groups gala dinner and entertainment was held at the stunning Hopetoun House, where they were greeted by a welcome piper on arrival. During the drinks reception there was a spectacular surprise Beat the Retreat, to give the guests a real rousing taste of Scotland before sitting down to dinner. No Scottish gala dinner is really complete without a haggis course and whisky, and this was no exception, with Roddy addressing the haggis for the guests and William Wallace talking to them about the whiskies on offer. After dinner to really get the pulses racing it was over to the Scraggly Cats, with their rocking ceilidh sound. Accompanied by highland dancers opening the show with contemporary dance display, guests were treated to a mixture of funky ceilidh and pop from the band, through to conclude the evening on a high. The second group were treated to their gala dinner and entertainment at the spectacular Ghillie Dhu, where they were treated to a truly exciting evening of entertainment. With a magician performing street style, close up illusions and slight of hand over the drinks reception, guests were then wowed by Tartaniums high-impact, high-energy performance after dinner. Blending bagpipes with electric guitar, keys and drums their exciting and innovative take on traditional Scottish ceilidh music created a real excitement with the guests. Accompanied by their troupe of mini-kilted dancers performing their choreographed contemporary highland dance routine, everyone was treated to an exciting and contemporary twist on traditional Scottish Ceilidh. The following day both groups took the opportunity to head south for Scotland vs South Africa in the rugby World Cup, the result going the way of the visitors and adding to their great memories of their trip. If you would like to discuss your incentive trip to Scotland and see how Reel Time Events can provide an exciting and memorable experience for your staff please contact us.